AMC's upcoming Walking Dead spinoff has begun casting its victims . . . er, cast members. The series, which is still without a title or premiere date has announced the first two actors who will be portraying this new band of survivors. British actor Frank Dillane (best known for his work as Tom Riddle in Harry Potter and the Half Blood Prince) and Australian actress Alycia Debnam-Carey (best known for her work in Into the Storm) will be portraying the teenaged children of one of the show's central characters, the as-yet-unnamed female lead who, prior to the zombie apocalypse, was a guidance counselor. 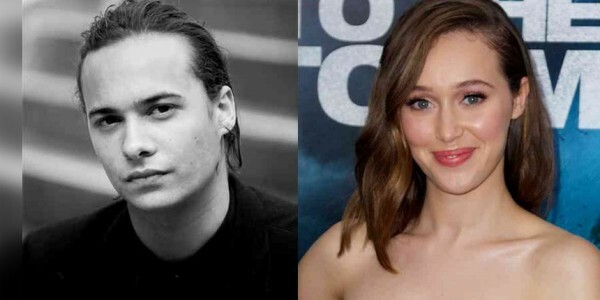 Dillane will be playing her "former druggie" son, while Debnam-Carey will be taking on the role of her "ambitious" daughter. The spinoff is being created by Robert Kirkman and Dave Erickson, and will take place in the same world as the original Walking Dead series, although it may take place either before or after the events of the original and will be in a different location.